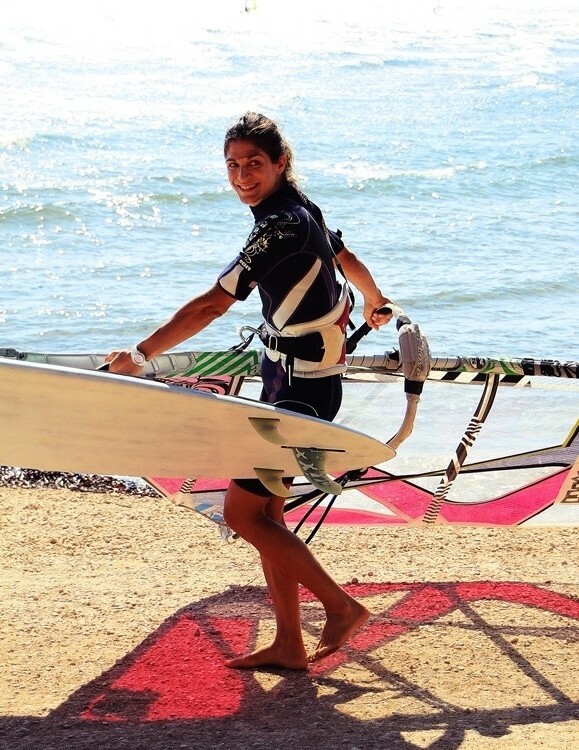 For those of you who haven’t been following my blog, I have covered the elements of physical abilities as well as mental training when it comes to practicing windsurfing as a sport and learning new things on the water. With beginners, it is the instructor who is always in the forefront and gives the student the way to go. 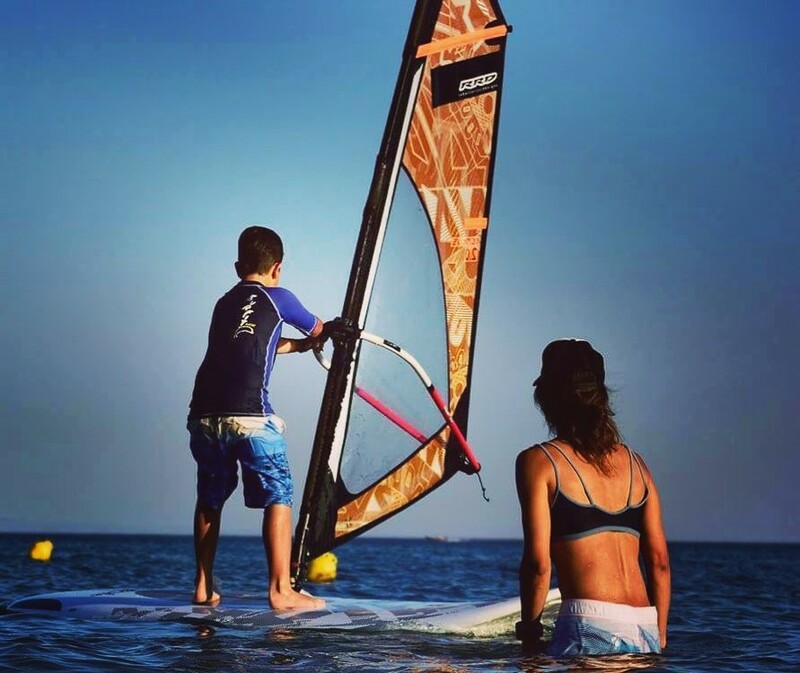 The first skills a beginner needs to develop on a windsurfing board is to learn how to orientate their equipment relative to the wind and get going, how to turn and how to stay on an upwind course. For the first 10-15 sessions the student relies on their instructor to describe what they need to do and why they need to do it. They watch their instructor demonstrate the right technique on land and on the water, they need the instructor to help them bring the equipment in the right position every time and also rely on constant feedback on the water. – Train with a qualified instructor. It’s very important that you get coaching on your first steps, so that you can progress fast and with the right technique. 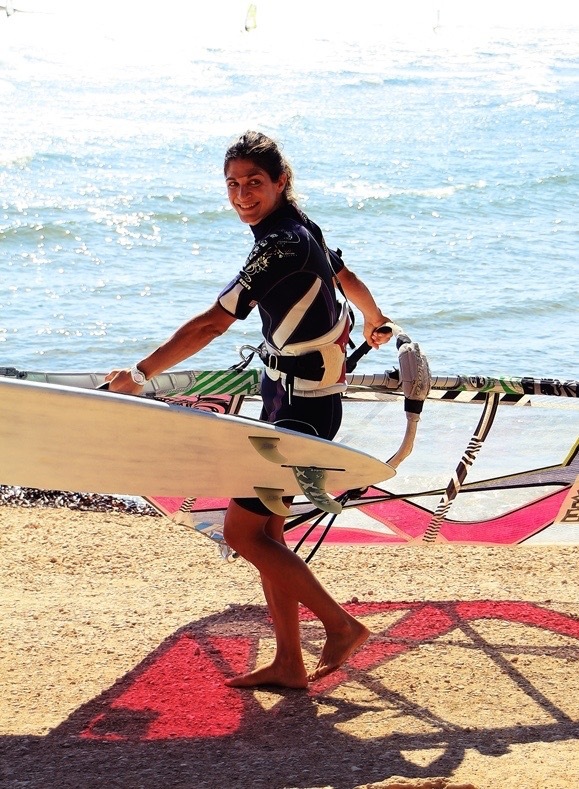 It’s much easier to learn things correctly from the beginning than to try and learn the planing jibe two years after you’ve started windsurfing without even knowing how to bear away properly (and the mechanics behind it!). – Choose an instructor who knows what they are doing. A good instructor knows how to use the right tools to teach you. Whether that is demonstrating a technique well enough so that you can see the movement clearly, describing what needs to happen to the equipment to achieve a certain outcome, explaining why that needs to be done and also using the right keywords when you’re actually trying to perform the technique on the water yourself. A lesson needs to have a goal and it also needs to have feedback. 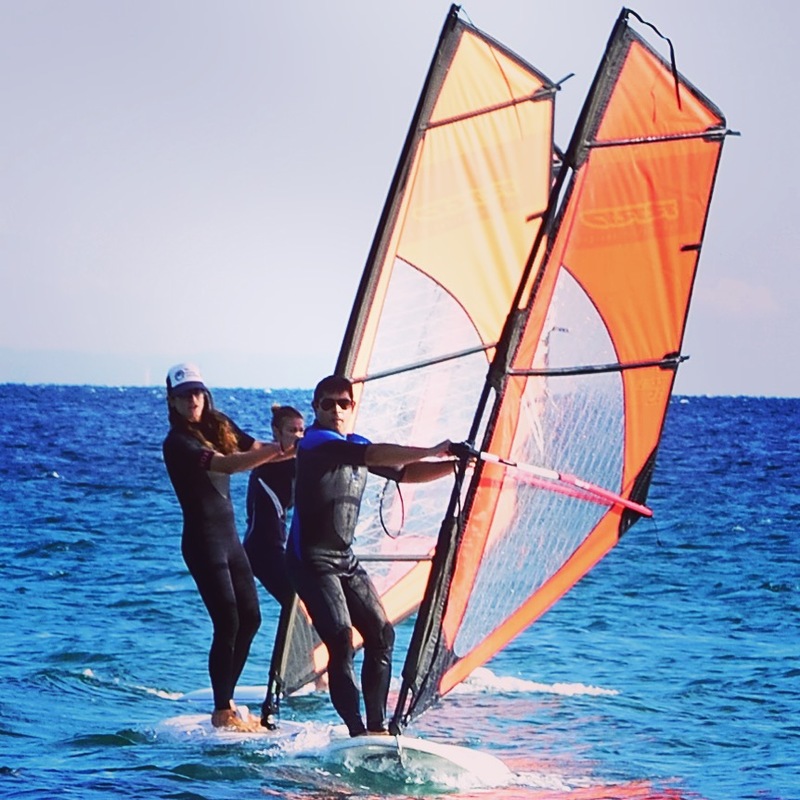 – Choose an instructor who has a teaching system and offers a proper windsurfing course. 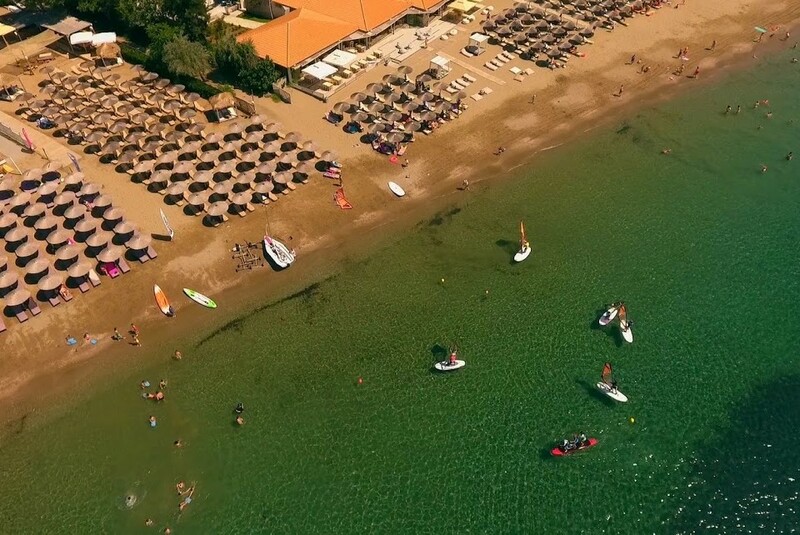 A windsurfing course includes the necessary cognitive and motor skills to take you from a complete beginner to a windsurfer who can safely launch from a certain spot and come back to the same place on beginners equipment. – Be consistent with your training. The more regularly you train, the easier it is for your body to remember how the equipment needs to be placed relative to the water and wind as well as the sensations that are tied with what you are learning. – Be present: once your session has started, let all of your thoughts go and focus on what you need to do to learn new things on the water and enjoy it at the same time! 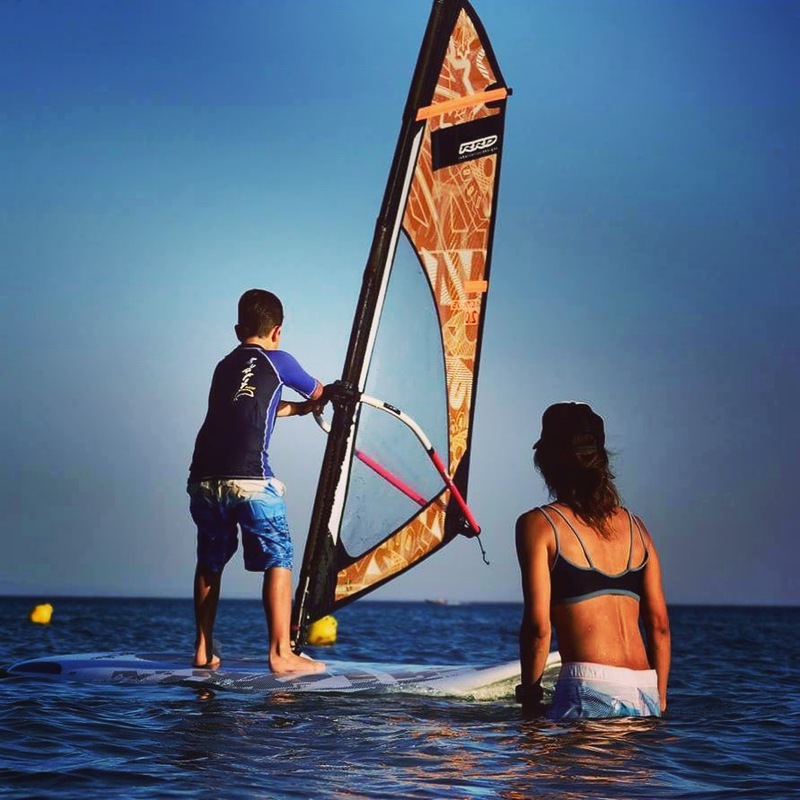 As far as intermediate and advanced windsurfers are concerned, it is the student who comes in the foreground and the instructor needs to work out how to best help him achieve the position or manoeuvre that needs to be learned. A very important thing I want to stress out here is that if the student knows the basics, things can progress faster than if he hasn’t got them. I’ve coached intermediate as well as advanced windsurfers who have never had a single lesson before and I’ve found it quite difficult to explain to them that before teaching them the planing jibe, I need to set them up correctly on the board. The more “trained” a windsurfer is to perform a certain movement (or even set up their body) in a non-efficient position, the harder I find it to “break this pattern” and improve it, so I can bring them in the desired position to be able to progress towards completing a manoeuvre. 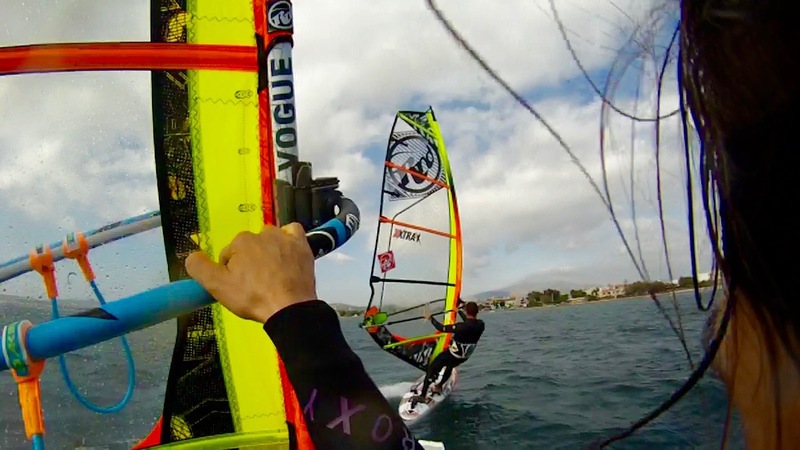 Lesson to take home is: at some point in your windsurfing journey, consider getting some kind of coaching! In my experience, intermediate and advanced windsurfers seldom employ an instructor to coach them every time they are on the water – if at all. Therefore, there isn’t anyone to organise what they need to work on and how they should go about it. Although this is not bad – as a windsurfer who is past the beginner level HAS to be able to figure out how things work on their own as well – those who don’t want to get any coaching at all will progress much slower and they need to work out a lot of things on their own. – Set a goal for your session, depending on your level and the conditions. 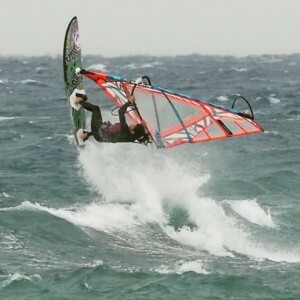 What is important is to make the most of your windsurfing session and enjoy it! This needs careful thought and is being neglected by self-taught sailors most of the time. – If you are trying a new move, focus on it for the first half hour on the water, not more. After that, just enjoy yourself doing what you can already do. If you want to spend more time on it, have a break, drink some water and refresh your mind before going at it again. If the conditions change and you want to focus on something different, always refresh before you give it a go. Trying new things without preparation and focus halters both your progress and your motivation to learn. – Imagery: whatever it is you’re learning, save some images on your phone or computer where the sailor is in exactly the point where you’re having difficulty at. The more you see how the equipment looks like as well as specific details of the sailor and equipment equilibrium, the more information you have when trying it on the water. – Visualisation: I can’t stress out this one enough. All coaches know that in order to be able to perform a move, you have to be able to visualise yourself doing it. Find out if you are a visual, auditory or kinaesthetic type and employ the right tools to be able to “play” the move in your head. After years teaching windsurfing the most exhilarating thing for me when coaching someone is to find out if they need keywords, if they need to see me demonstrating the manoeuvre (or a specific detail of the manoeuvre) or if they need to do it themselves and feel it in order to make progress. Even if a person is one type or the other (or a mix of types), what they need changes as their level improves and it also changes from one manoeuvre to the other – every one of us has a different perception of how things work and a different way to employ their senses (mainly: hearing, seeing, feeling)! – Keywords: find out the basic things you want to remember when you’re initiating the move on the water. No matter what learning type you are, it’s always good to start with repeating some verbal cues to yourself. – Present focus: be present in the moment. Focus on what’s happening on the equipment and the signals from your body. If you’re learning something on the water, you’ve developed the necessary reflexes to protect yourself when failing. The better you get, the faster your body will instinctively make the right adjustments to keep you safe. That said, don’t train for too long or you’ll get tired and your reflexes will be slower. Also, don’t stay out too long when it’s cold, or your joints will become stiff and you might find yourself not controlling your body well enough. If it’s a hot day, make sure you are rehydrating as this also has a large impact on the nervous system and our ability to coordinate our movements. Keep your body in a good condition! – Break down the move: the more complex the move, the more difficult it is to nail it in one training session. Focus on getting it right for the first half or even one quarter of the move. If you find yourself not being able to complete the move, go back and see if you’re initiating it correctly. I’ve coached people who are going through more than half of the gybe but can’t come out of it because their initial set-up is wrong. I’ve also coached people who want to learn the planing jibe but don’t know how to control their sail clew first once on the new tack, so in order to nail it we’ve had a session in-between on “clew first slow type control”. Do your homework and get feedback on how you’re progressing. – Body/equipment feedback: as you are progressing with your visualisation, don’t just have your keywords in mind. Try doing the move and focus on whether your sail feels light or heavy, whether your arms are close together or far apart, whether you are applying pressure on the rail, whether you’re squeezing your pinkies on the boom, whether you’re holding your breath, shrugging your shoulders or whatever it is you’re compensating for, to see what you need to work on. – Video: for me this was THE most important thing when I was training for the PWA. I used to download a video of someone doing a move like I wanted to do it and editing it in a clip where I would watch it for 7 times in a row without interruption, or sometimes even editing a specific part of the move 7 times in a row. I also had friends film my attempts on the water to compare speed, angle of attack on the wave, how my arms were placed on the boom, where I was looking and where my body weight was, so I could compare all this info to someone who is actually completing the move. You can’t imagine how important it is to be able to grasp a detail like where your eyes should be looking or where your hands need to be placed in order to complete a move effortlessly. This is my favorite thing when coaching a group. I can film their different styles and ways to try a move and then when doing video analysis we can compare techniques and ways of understanding a move. Like this, one can learn not just by what is “universally correct”, but from their fellow windsurfer as well. 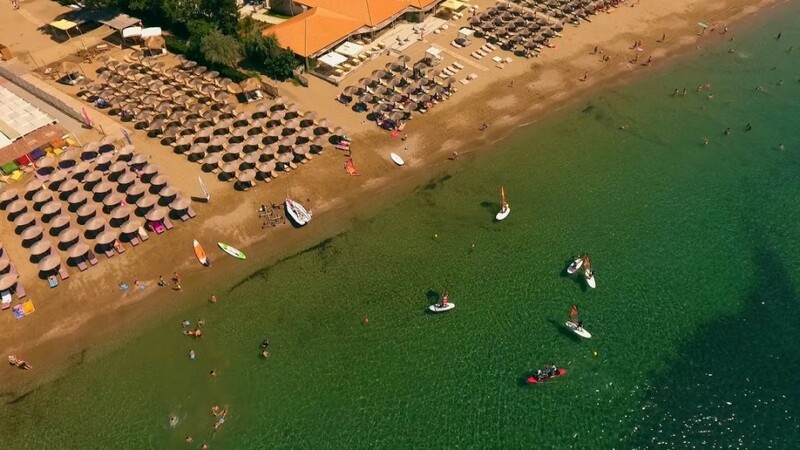 – Observe other windsurfers on the water! Both before and after your session. (Also, make sure you choose the right ones to watch). – Find a training buddy who will keep you company driving, rigging, derigging and who will also cheer you up when you’re falling in the water all the time or even better – nail the move you’re trying and have you spending the next 3 hours on the water to nail it, too! Hope this gives you some food for thought on your journey of being proficient in windsurfing! If you have any questions I am more than happy to help!